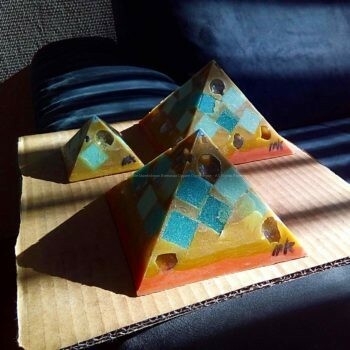 ORGONITE BEESWAX CERA API – This category contain all my artworks in beeswax, from the little and cheap orgonite microgrenade, to the orgonite art heart, the orgonite hand grenades, the orgonite tower busters, and of course the orgonite pyramids of any dimension. I want remember to anyone, the beeswax we use come from serious farmers, and the way to produce it respect the needs of the bees. 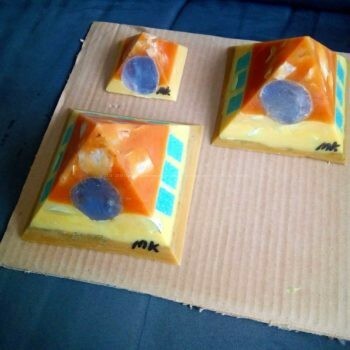 We will report in the future any stalking about the products to the related firms producing. We sow anything possible in this criminal attempt to convince the people that plastic is better. 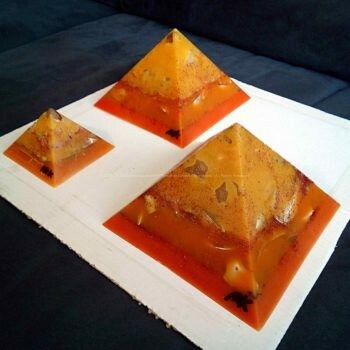 The target of this is often the vegan community about the use of the beeswax. 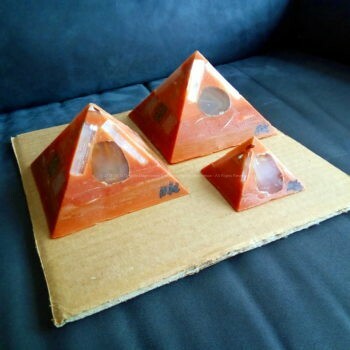 My orgonite are produced according to different principles, more than those based on the scientific work of Dr. Wilhelm Reich. There are also those ones related to holistic and scientific disciplines still not officially recognized. First of all, the aromatherapy. 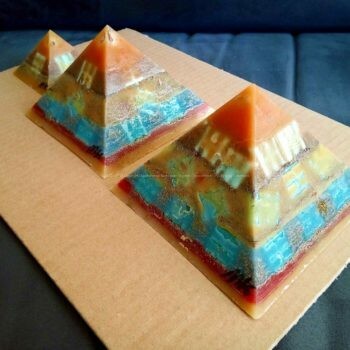 The use of beeswax adding essential oils makes my orgonite very scented, specially when used for meditation and when washed with cold water and soap. 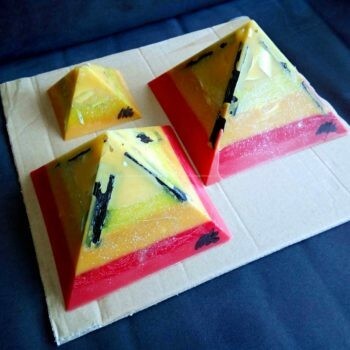 Then the color therapy called “chromoteraphy”. 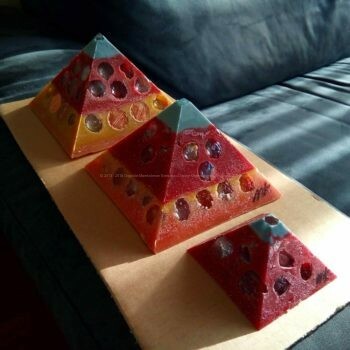 My orgonite have characteristics as stones, aromas and colors. 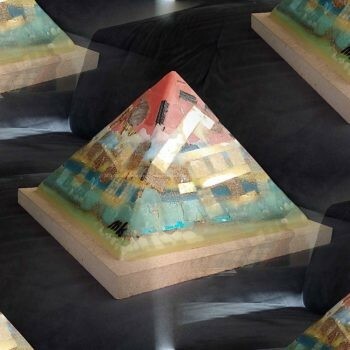 This refers to orgonite in all categories except the pyramids, they are all unique. 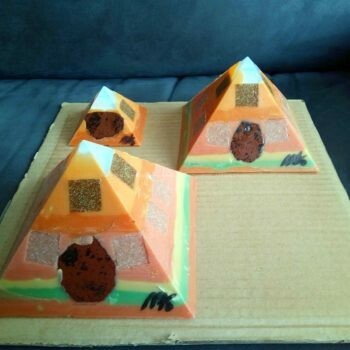 The pyramids have a variety of different shades and tones of colors, this giving you the choce of colors more suited to your needs and affinities aura colors. And then the use of “radionic”, for both forms that also internal disposition of minerals and metals. 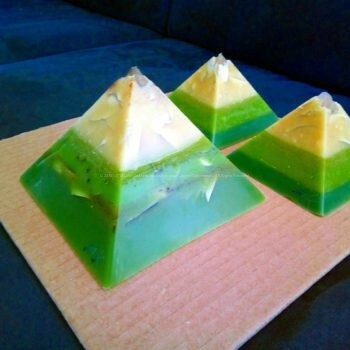 And of course with the use of intention during the phase of creation.Even infuse your aura energy footprint is important, but obviously isn’t easy as writing it. 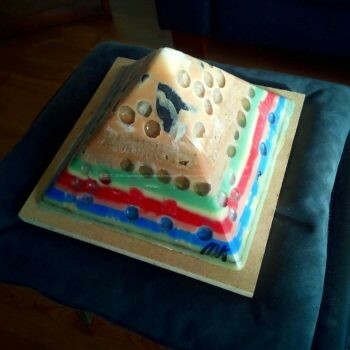 The chanting of the mantra OM and during creation is also used to infuse my orgonite also a vibration imprinting.